If youâ€™re a person of colour with innovative ideas on how to solve structural inequalities in the city of Cape Town, this one’s for you. 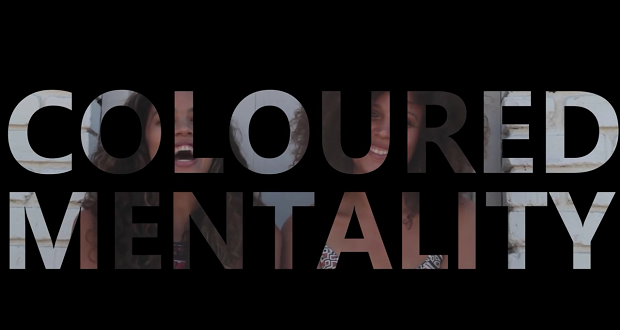 Coloured Mentality – the webseries that explores coloured identity in South Africa – has started a new campaign to make a change in Cape Town. The couple – Sarah Summers and Kelly Eve Koopman – is offering to invest R 10 000, their platforms and film-making skills to a project/collective in Cape Town with creative solutions. â€œThereâ€™s the shutdown marches against the gangsterism and drug abuse in Cape Town, thatâ€™s quite pivotal right now. Structural racism in Cape Town is a big problem. Divides between black and coloured communities is a problem. The fact that weâ€™re all dealing with this trauma and donâ€™t know how to approach it is a problem,â€ Summers said in an interview with The Daily Vox. The duo did not want to define the problem, Summers said, as there are so many people struggling with so many aspects of what the city is going through. However, they want to initiate thinking about creative solutions to solving the problems. As part of their fellowship with Atlantic Fellows for Racial Equity through the Nelson Mandela Foundation, they have the means to give some financial support. Coloured Mentality is offering R 10 000, their platform of 28 000 followers and their film-making and facilitation skills. In return, they want to know what you would you do with the resources and how you would multiply them. Coloured Mentality would like to hear ideas about how Capetonians can come together as a people to correct the injustices of the past and find healing for broken communities. â€œWhat we are offering is not a giant amount of money, itâ€™s not a giant film-making opportunity either. Coloured Mentality platform could be much bigger. Ultimately itâ€™s what we have to give,â€ Summers said. â€œWeâ€™re hoping when people see this they can offer what they have with their resources and ideas even if their ideas are outlandish. We need to think of ways to find solutions,â€ she said. To apply, send a one page motivation letter on how you believe Cape Town can start to tackle itâ€™s problems, a budget break down and a short bio of who you are to colouredmentality@gmail.com. As long as youâ€™re a person of colour located in a Cape Town community, your application is welcome. If any organisations or individuals with resources would like to contribute funding, resources, skills, time or ideas the platform welcomes them as well. Applications close on 26 October. In mid-November, the date and venue where Coloured Mentality will host a workshop to discuss ideas and distribution of resources with interested parties, will be confirmed.